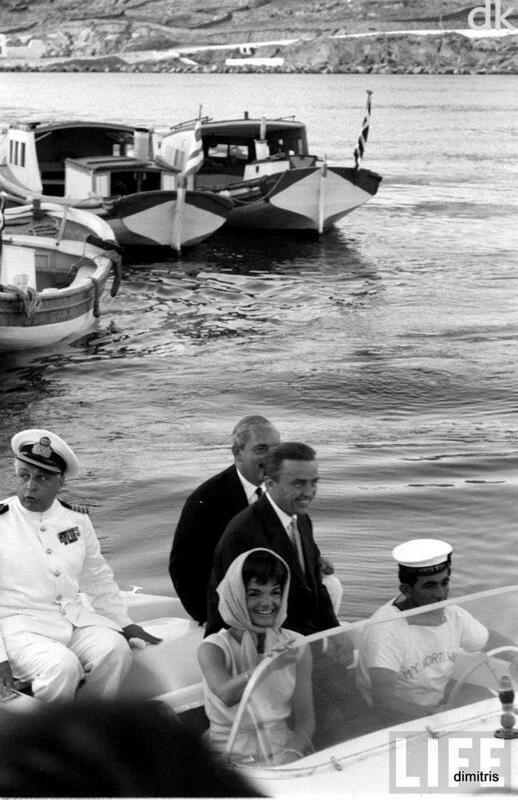 I guess it’s only natural that our deepest longings for sweetly remembered innocent moments come amid the most unsettled current times. 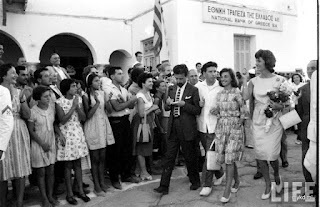 Greeks are no exception to that phenomenon and my good friend and cataloguer of all photographs Mykonian, Dimitris Koutsoukos, has just the antidote for troubled times. 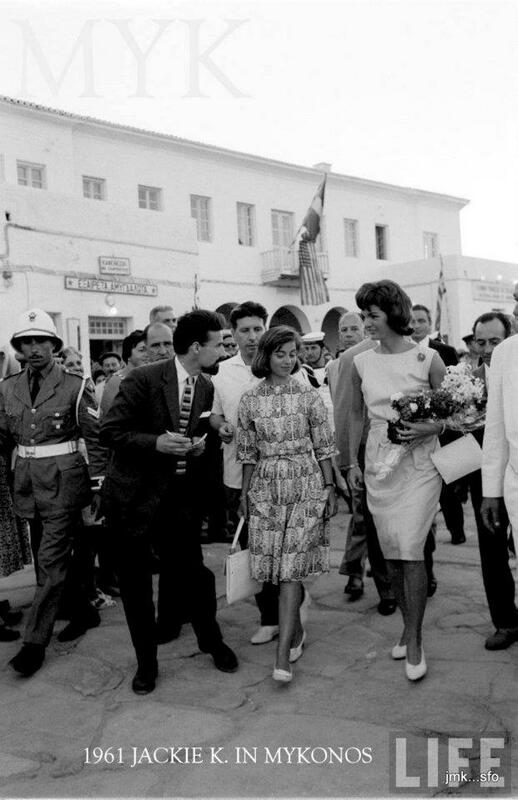 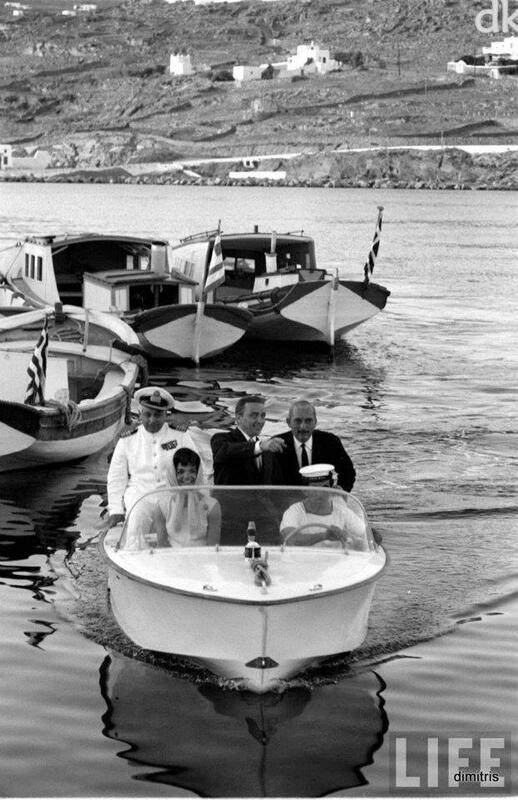 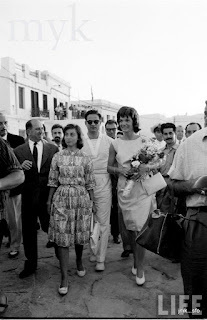 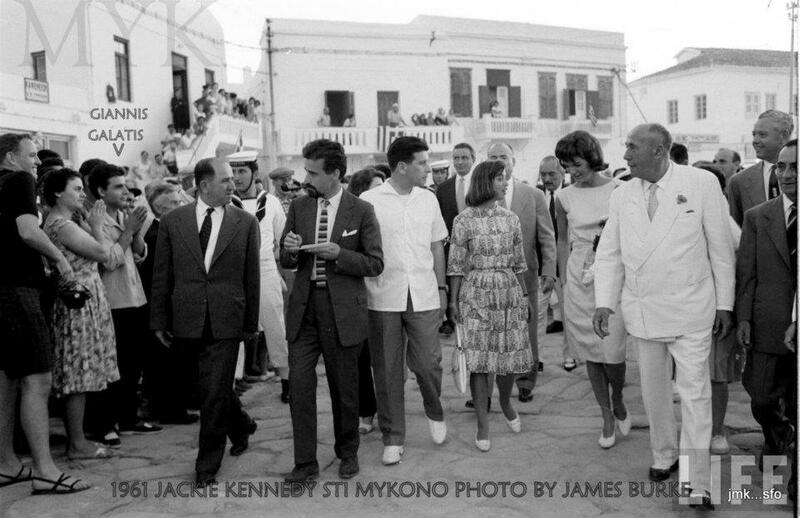 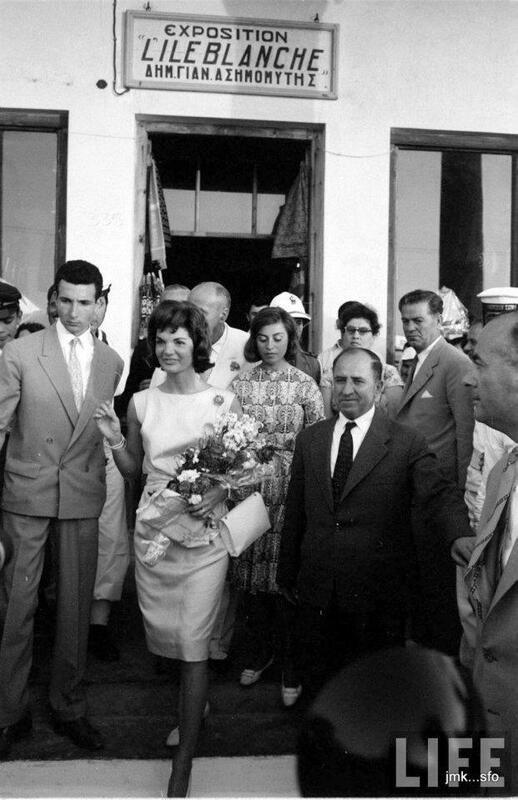 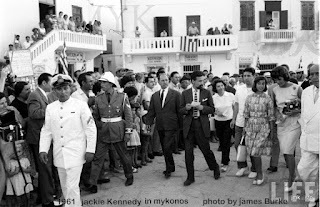 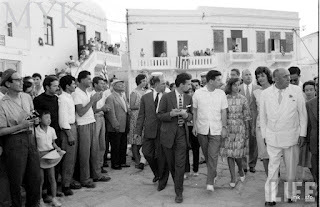 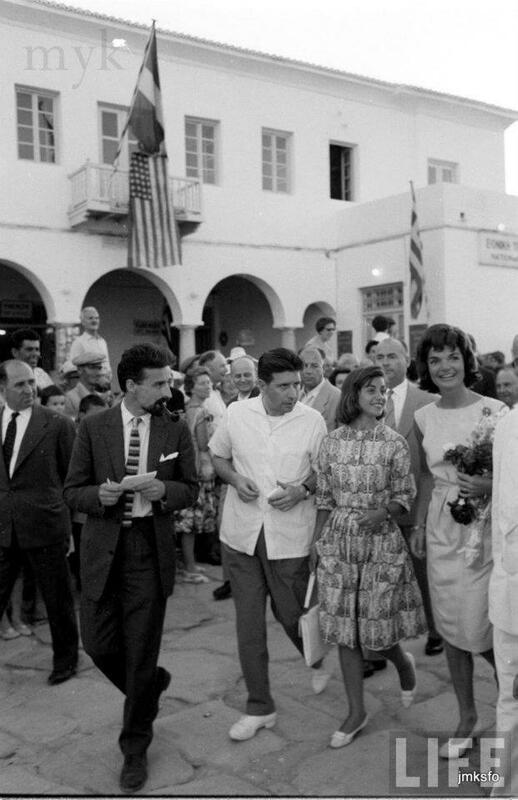 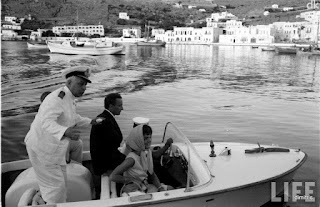 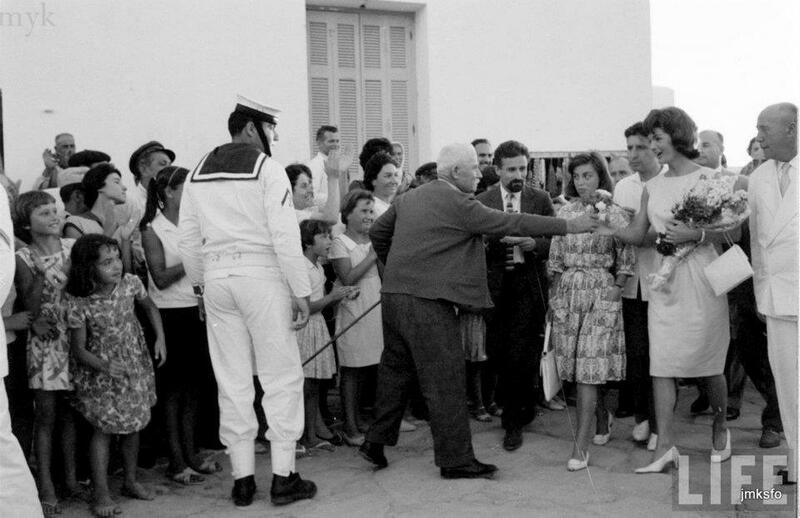 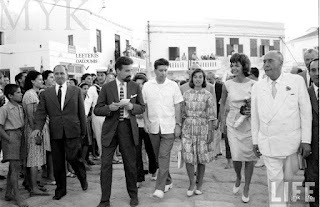 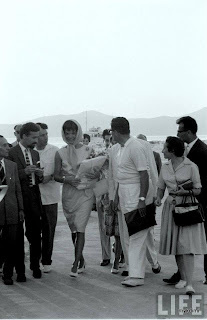 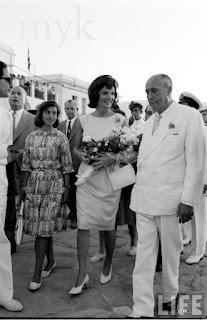 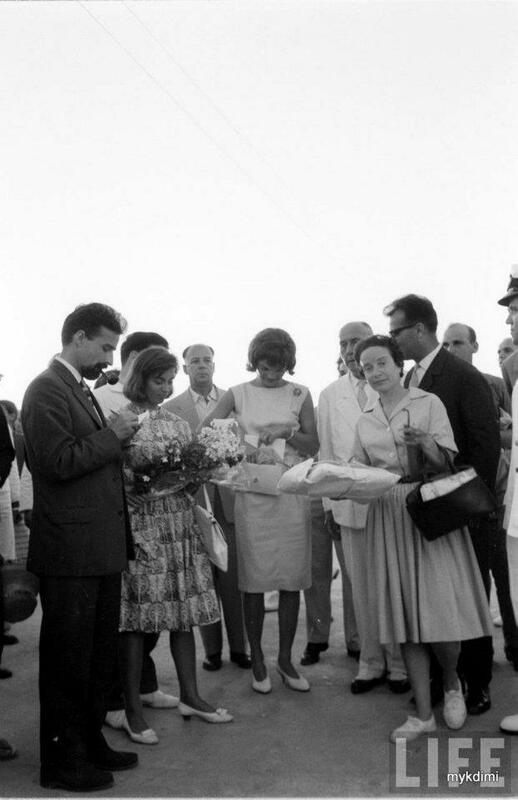 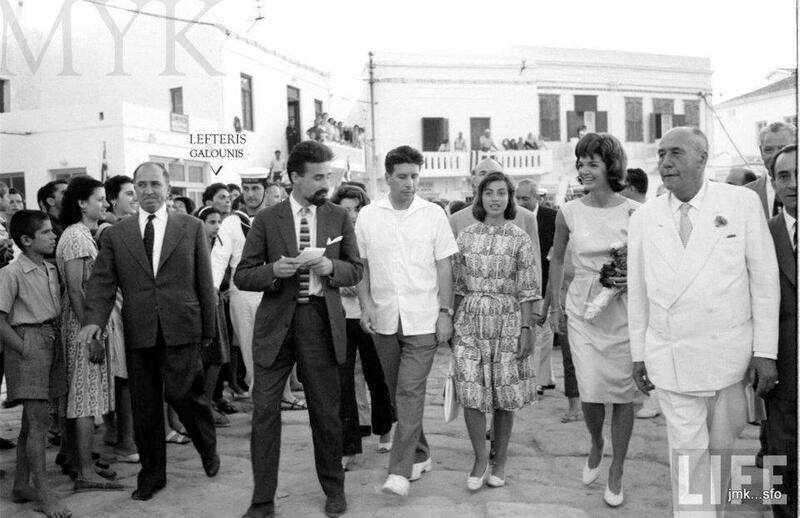 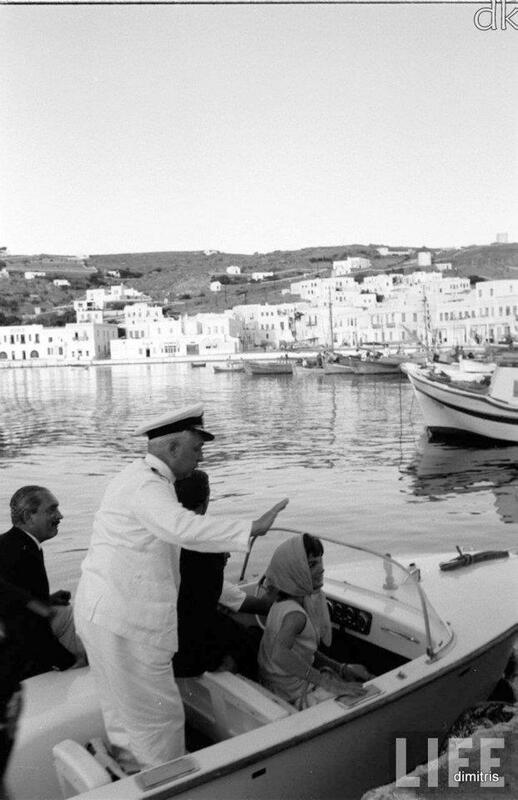 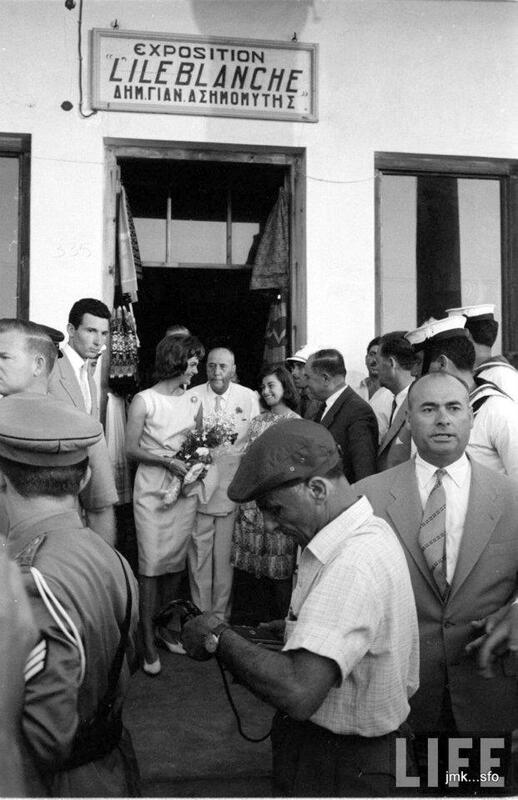 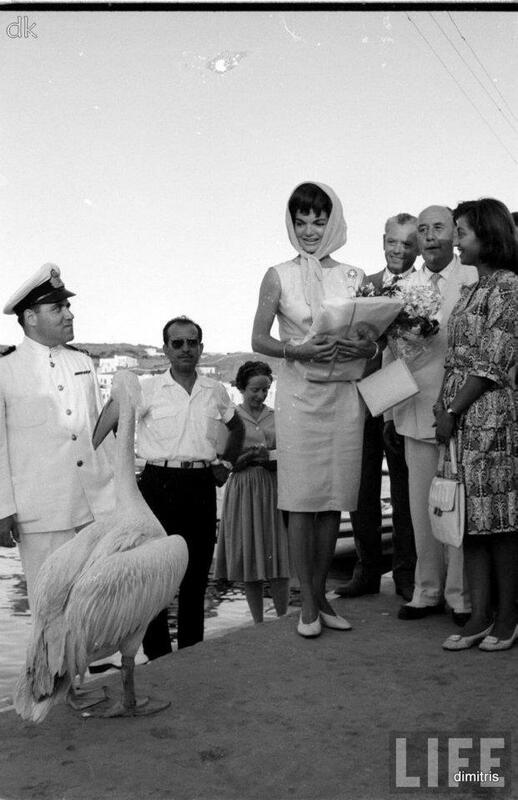 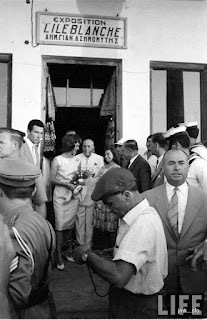 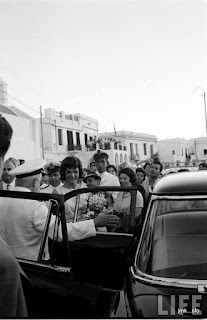 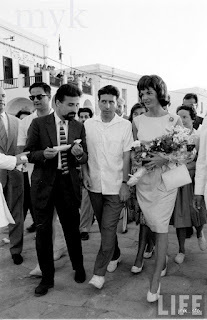 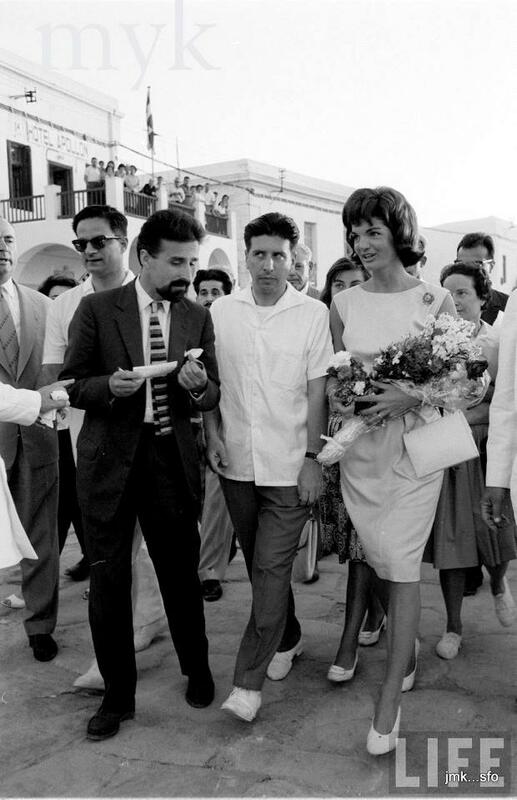 Fifty-one years and two weeks ago today (June 10, 1961 to be precise), America’s first lady, Jackie Kennedy, set foot on Mykonos for the very first time. She’d escaped the whirlwind publicity of her visits to London and Rome for a promised not harried visit to Greece, courtesy of the invitation of Greek Prime Minister Constantine Karamalis and the hospitality of the Nomikos Greek ship-owning family. 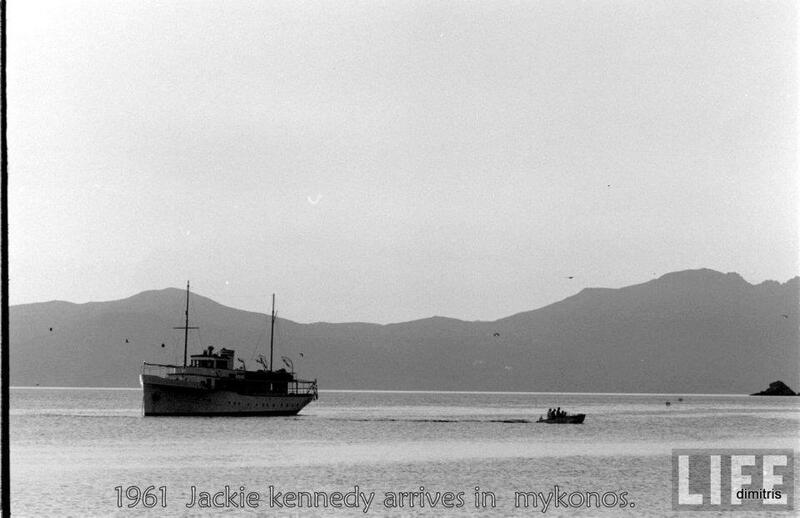 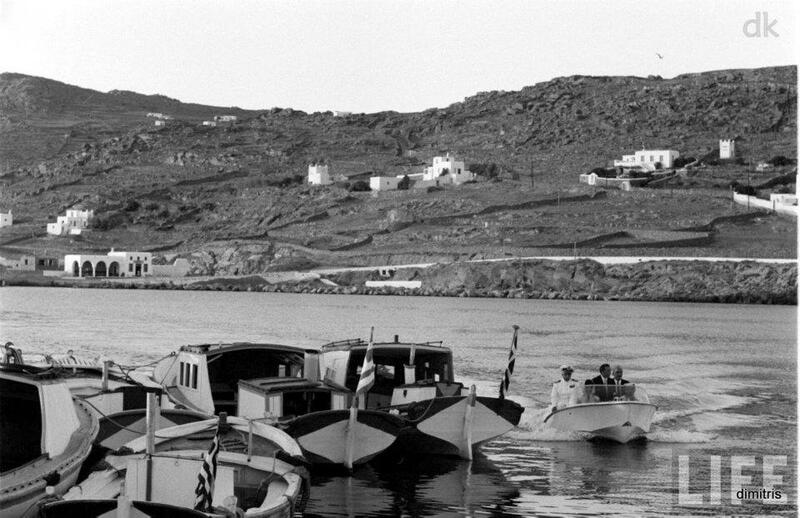 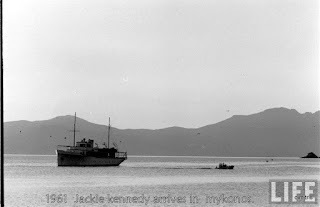 Here are photographs by Life Magazine photographer James Burke documenting Jackie Kennedy’s arrival in Mykonos harbor off the yacht Northwind and her first steps of what would prove to be many on the island. 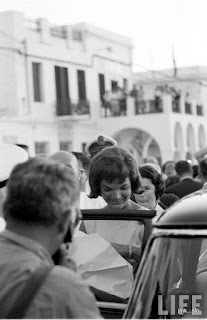 They also record Jackie’s first meeting with one who would prove to be a love of her life. 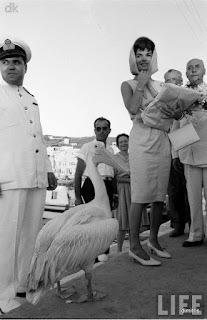 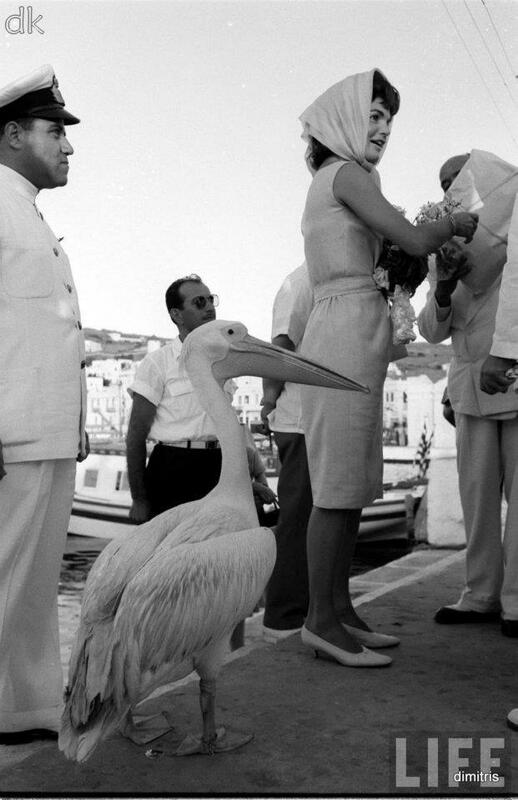 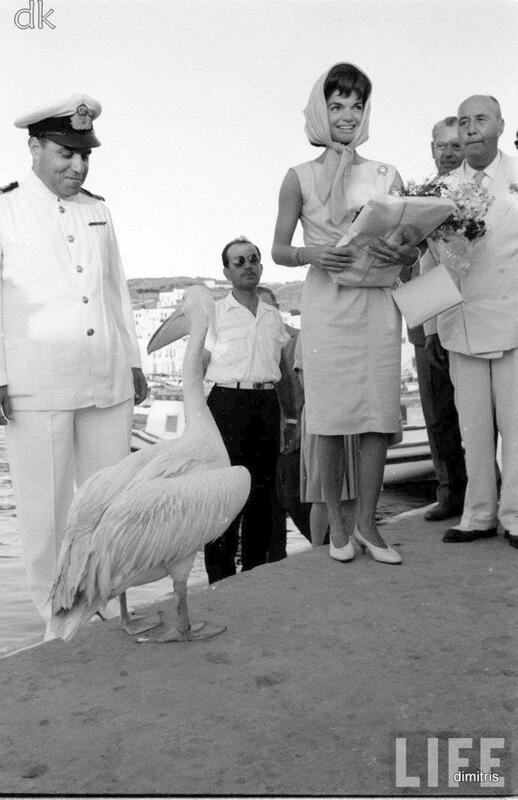 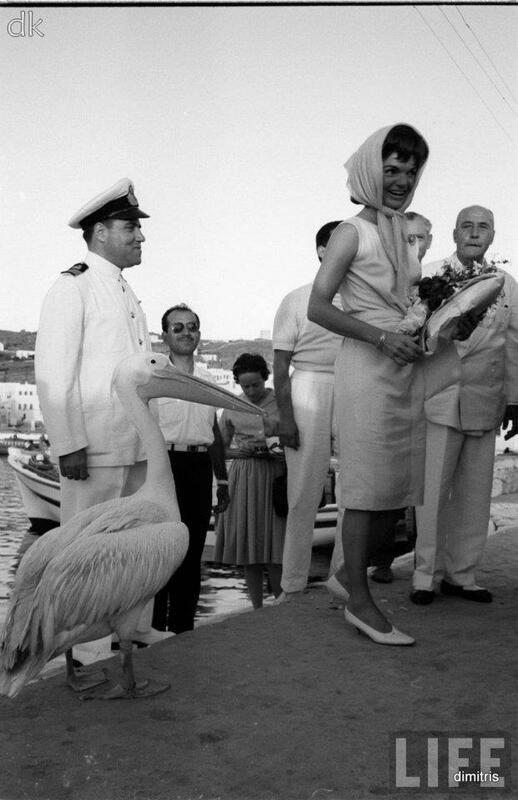 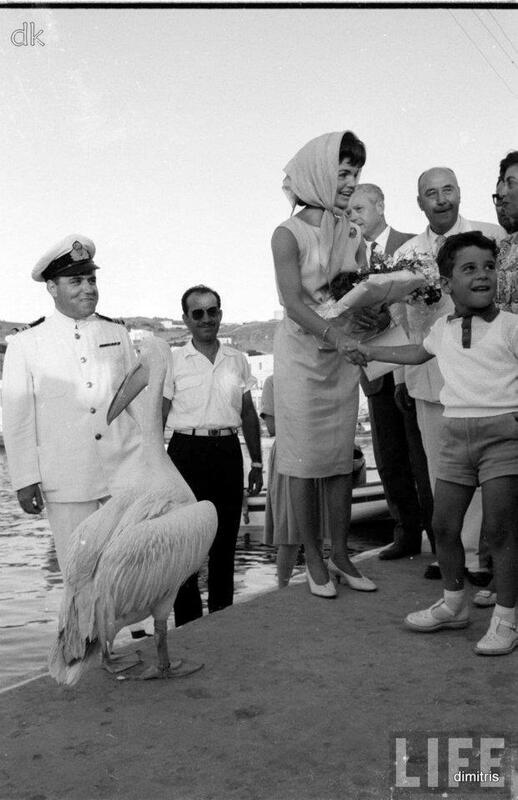 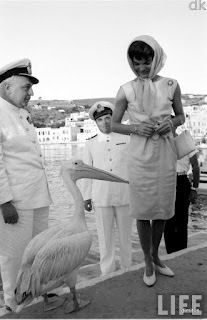 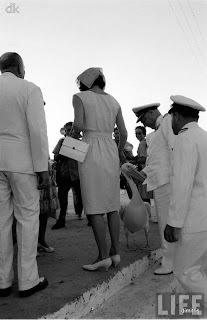 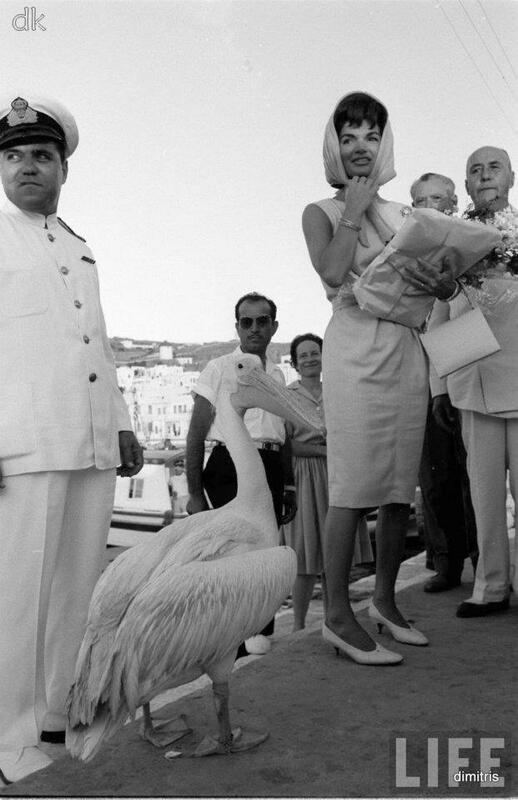 I’m talking about Petros the Pelican, and when he passed away twenty-five years later it was the then Jackie O who gifted a new pelican, Irini, to the island. 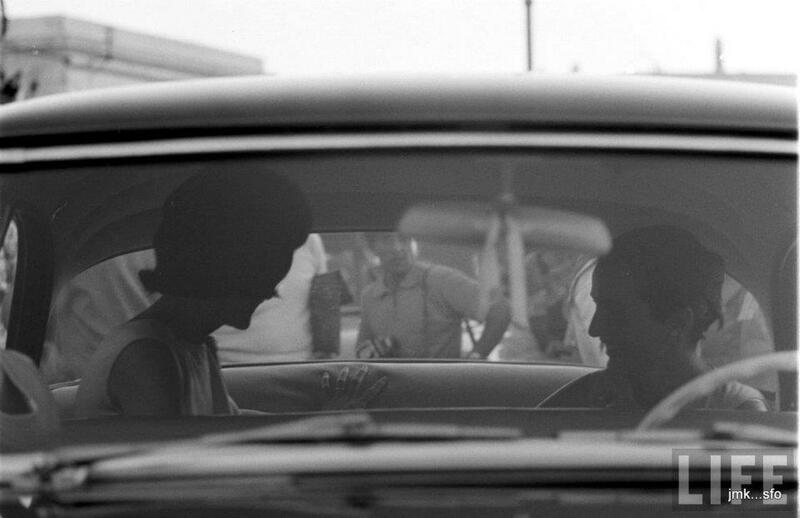 But that’s a story for another time.